The time of the year when the air gets filled with rejoicing and colours is just ahead of us. The most exuberant of all styles and trends will be on full display with the classic traditional overlay. You heard us right, Eid-ul-Fitr, is right around the corner as the month of Ramadan is quickly passing by. And as we entering the later weeks of the months, the tensions are turning high with regard to the appropriate style and trend to choose for the day. 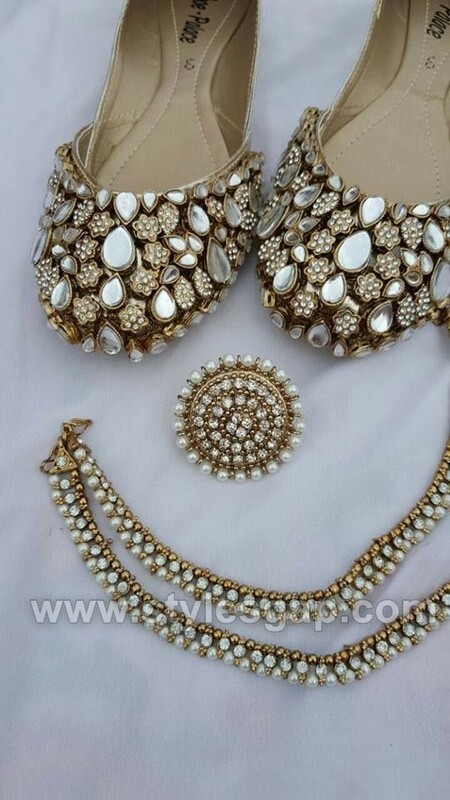 If you choose for the dress, then the matching footwear becomes a problem to decide for. Even if you choose both by yourself then the suitable jewelry gives you a new amount of confusion. Above all, if you even choose all with great efforts, the relevance of style becomes more challenging than ever. And that not new to few of us, it is the story of every men, woman and young kids. When it comes to Eid, we all want the special kind of outlook to garner all the praises for the day. 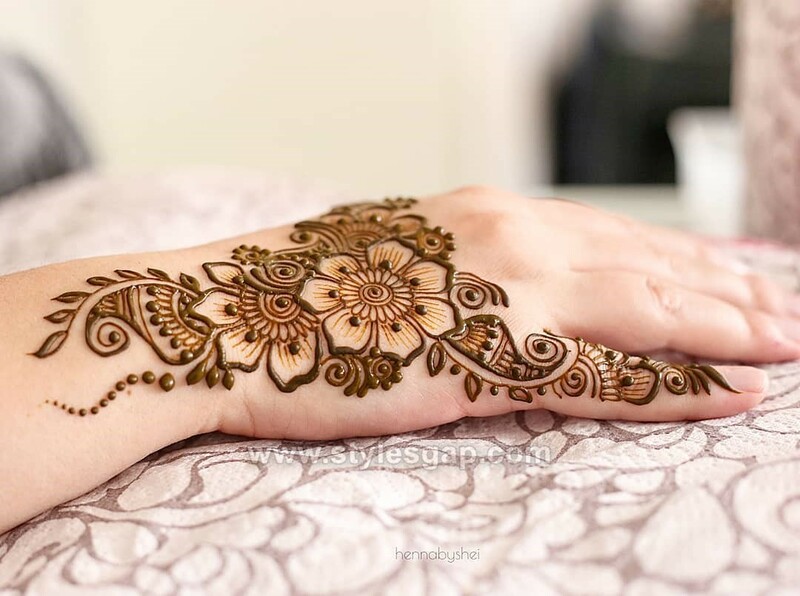 So how about discussing all the ongoing trends to make your Eid even more special. From dresses to the styling of jewelry, accessories, bags, shoes, bottoms, and footwear. Everything fashion related is about to be explored according to the recent catalogues and collections. Some of the styles you might be surprised to see as becoming the part of your wardrobe. Here we are sharing the Top 15 Best Eid Dressing & Styling Trends. Eid is so full of wonder, it has its way of connecting people and spreading the joys of it. 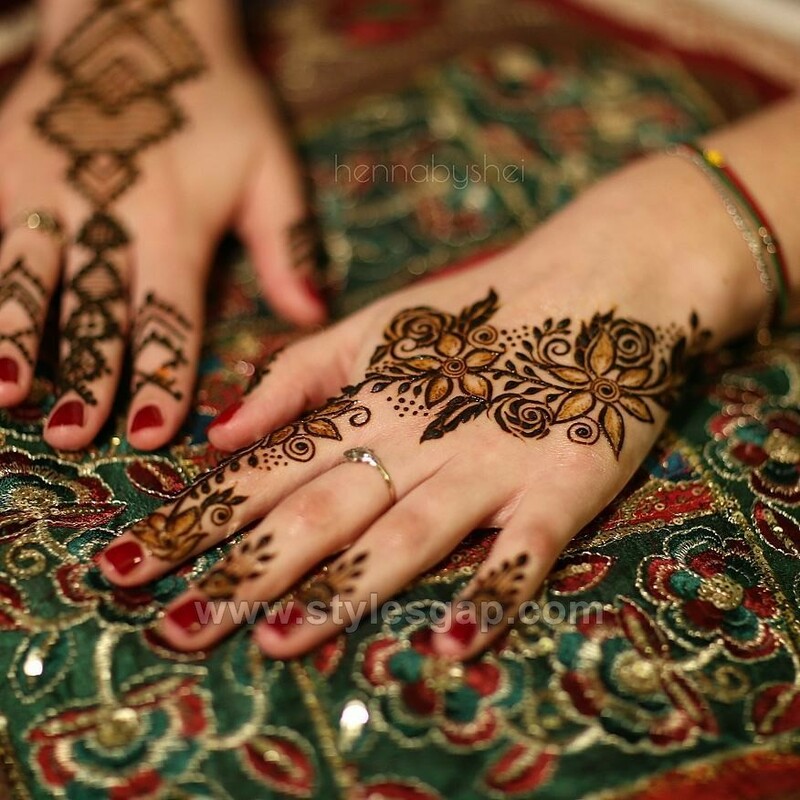 For such blissful day, the preparations should also be up to the mark, touching the highest bar of ethnic styling. For all the three days of Eid, the fashion we look for is traditional and purely ethnic in nature. Touching and reaching out to our roots, seems more desirable. 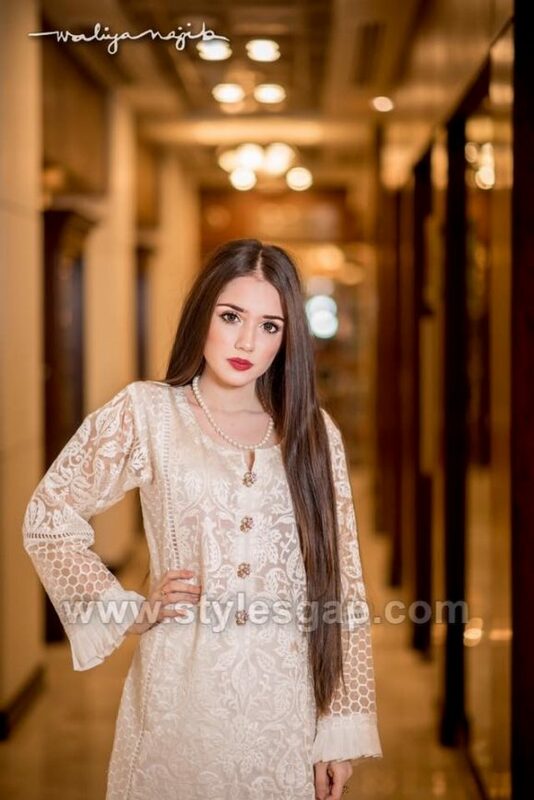 Whether men, women or children, the classic style of shalwar kameez or other variants of the style are carried in every other home in Pakistan. And there are volumes of other styles that we all love to the core. 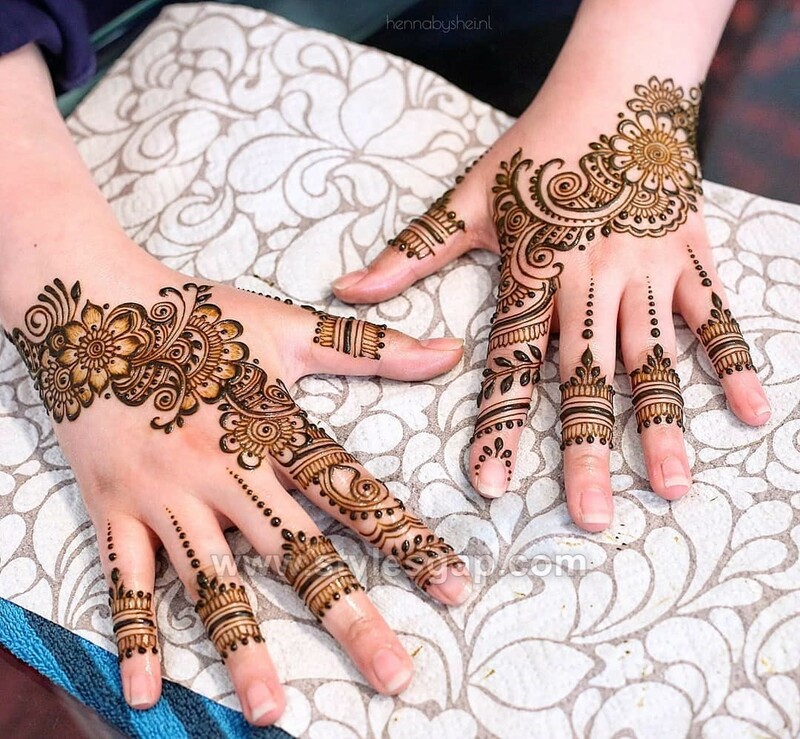 So before we all hit the stores and markets for the ultimate Eid shopping, it important to explore all the possibilities and ideas of the latest Eid trends and styles. After having much of the fashion insight anyone can choose the best out of best, suitable to the occasion. 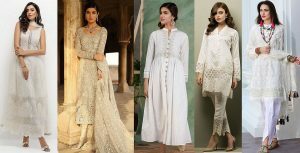 So let’s have a quick view of the Top 12 Must-Follow Best Eid Dressing & Styling Trends 2018, which will make you skip your heartbeat for a while and each one of them is worth a try. 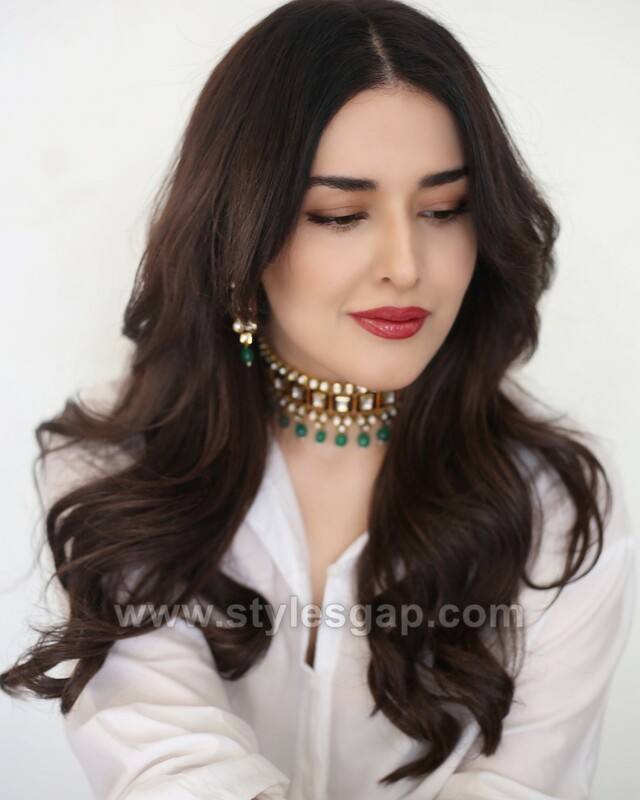 The infamous white fashion is so on trend these days and the right kind of option to deal with the scorching summers and the dazzling Eid day. This color not only brings elegance to your dress, but it also calms the sight and feels refreshing to wear. For women white is designed in various styles, from frocks to maxis, to plain shirts and monochromatic white shalwar kameez. The all white dresses are a charm for many, however, if you are not that of a fan then adding hints of colours into its embroideries or in dupatta gives a fantabulous outlook. White dominates every part of the style and resonates perfectly with any theme. So it is a must-have for this Eid. A classic white shalwar kameez, is what every men in style look for. 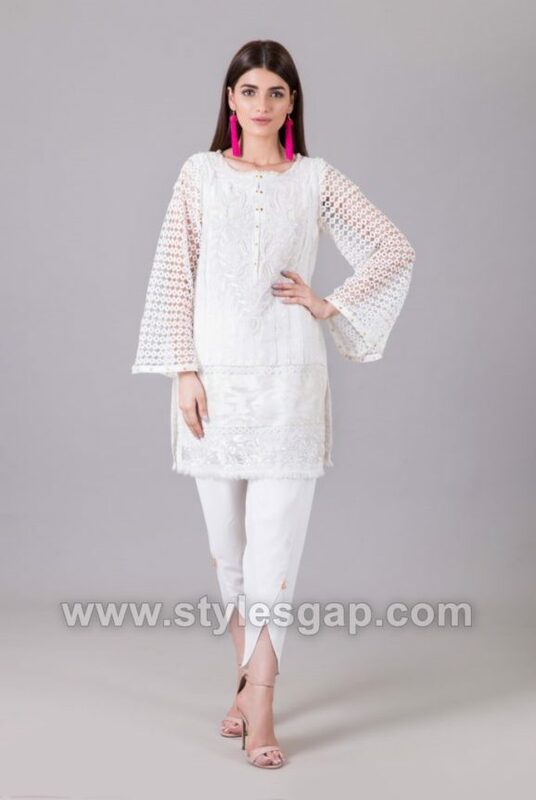 White kurta’s also come greater demand. The neutrality of white makes it a seemingly interesting choice of men of all ages. Whether they keep it simple or adorn it with some classic embroideries around the neckline or cuffs, the suit in white looks inspiring. These days, the plain shalwar kameez are often paired with waistcoats in good contrasting shades or with a decent men scarf. Anything you find suitable to pair the sheer simplicity of white, will look great on it. And that is greatest perks of wearing a white, you can carry it with almost any colour of footwear and shades. Dresses that are simple elegant falls into the category which are lighter in texture and even lighter in embroideries. These dresses however include every piece of shirt and trousers which are crafted in either lawn, or chiffon or in cotton. They mostly range from casual to semi-formal dresses. However for Eid celebration at home or out with relatives and friends, they mostly opt for their amazing appeal and distinctive elegance. Such dresses are designed with decent straight medium length shirts and pencil trousers. The dupattas are printed in multiple hues and shirts are bordered with intricate embroideries. Go ahead and look out for the best one for yourself. 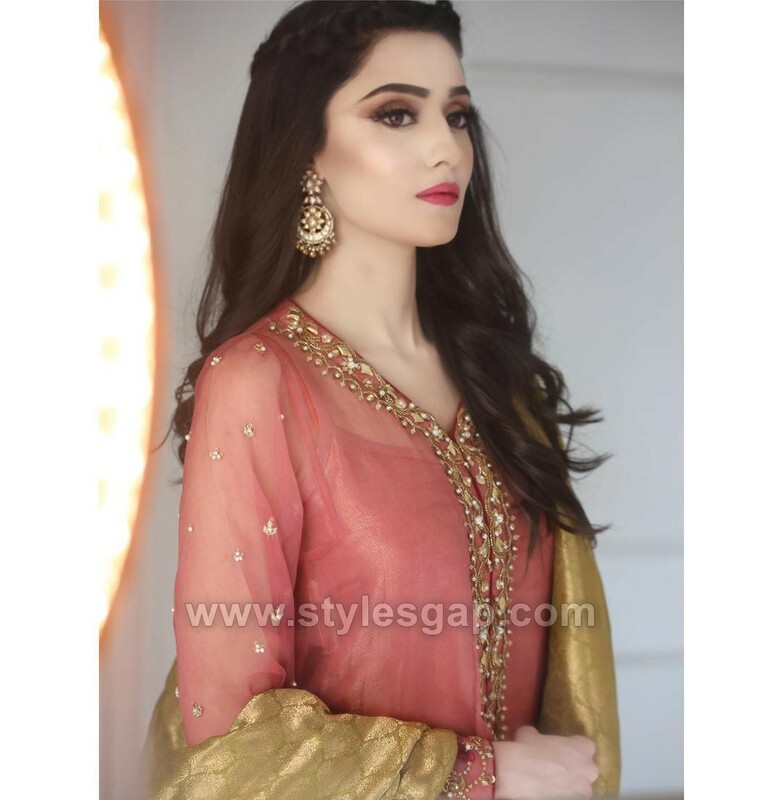 From popular and trendy designer wear to the market available pret suits collections, the pastel shades are creating a fine imagery of the fashion world in Pakistan. They swept into the trend and became increasingly popular due to their softness and delicate outlook. Especially, when you consider the weather, these shades seem like the right choice for every style of dress. Pastel shades mostly include variant forms of beige white, mustards, lavender, light blues, soft pinks and etc. The great think about these shades is that you can carry them even with white bottoms. 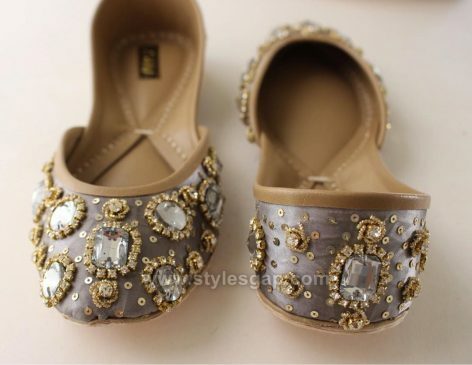 They go with every jewelry style and looks great with all forms of footwear. One fashion that has taken the fashion industry by storm is the medium kurtas, peplums and short frocks. Kurtas have long in been in style, that we all know and for all the right reasons. They are decent, trendy and comfy to carry with any bottom type. But the frocks have recently gained much attention due to their exotic outlook. The voluminous short frocks are available in variety of styles, from angarkha frocks to Afghani ones and the ones with separate bodies and the drapes. The beauty of these frocks is that we look great with bell bottoms, straight pants, jeans, trousers and tulips. So if you are considering to wear any of those on this Eid, remember that you’ll be having a lot of choices available. Tassel trend came as a wave and prevailed due to the quintessential effect they bring to the dresses. Even a simplest of the outfits can be turned into a masterpiece using tassels. The dresses in tassels varies from the ones with borderline tassels to neckline tassels. Mostly the shirts or frocks borders are highlighted using small or long tassels, following a similar or contrasting theme of the dresses. They can even be matched to the dress’ embroideries. Besides tassel dresses you can now even enjoy tassel jewelry with the custom-made tassel earrings and the special necklace. And to excite you more, tassel bags and footwear are also now available in many forms and styles. That is so right, shalwar has hit the trend again. If you haven’t witnessed it yet then check out our exclusive sneak peek of the latest shalwar trends. The great part is that this time these shalwars are simple and uniquely elegant. They are neither too baggy in style and nor too trimmed and they look great with a variety of tops type, the peplums, the medium shirts, kurtas and frocks. Embroidered shalwars are gaining much popularity and available at every other store. The key is to balance the outlook of the shalwar, lies in the selection of palette and the type of the top. For heavy embroidered tops, always go from light simple and plain shalwars. We all know how cigarette pants and boot pants have made us all stunned with their lovely and inspiring outlook. These pants have their way of adding grace to every dress. Whether they are simple, border lined or even laced, these pants are great for all types of dresses. They boot pants however, look good more with peplums or frocks. The cuts and stitches of these pants. Their shape is slightly curved and gives a sharp and bold outlook to the entire dresses. That’s why they are paired more with draping shirts. Cigarette pants are comparatively sleek and straight, thus go with simple shirts and kurtas. One thing that we all love about the traditional footwear in Pakistan is the khussa. These khussa’s look amazing in every variety and form. When you carry them with any dress they immediately change your entire outlook into an ethnic one. The variety ranges from heavy embroidered ones with beats and pearls to the shinning leather. There are new khussa’s in town, which are comparatively less traditional and can be seen at Mojari’s, they are plain, simple and luscious in outlook. 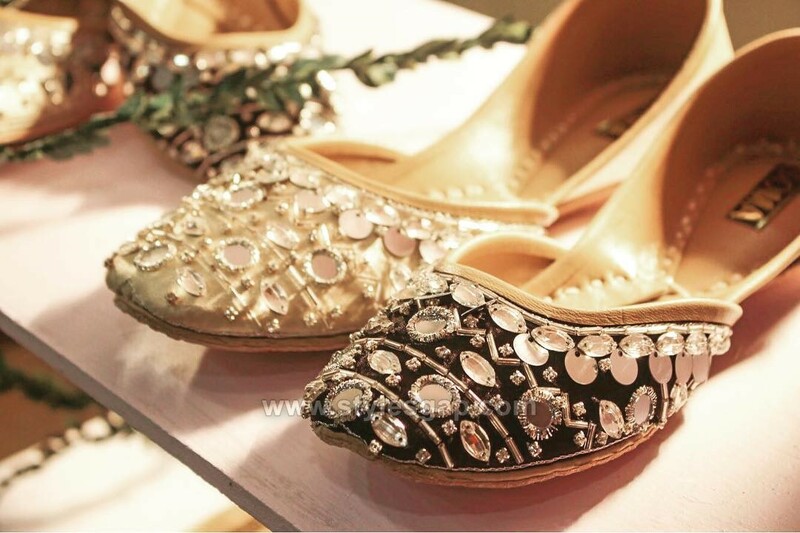 Banarsi khussa are also a great option to add the regal colours to your outlook. They are available in many colours and some are even lightly embroidered around the edges. 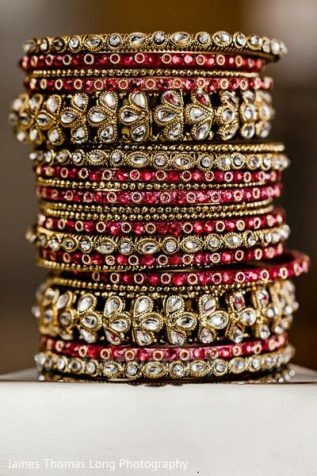 Getting bangles for Eid is the century-old tradition among Muslim girls, the news of Eid Chand sighting is the news for all to get a new set of bangles for the special day. 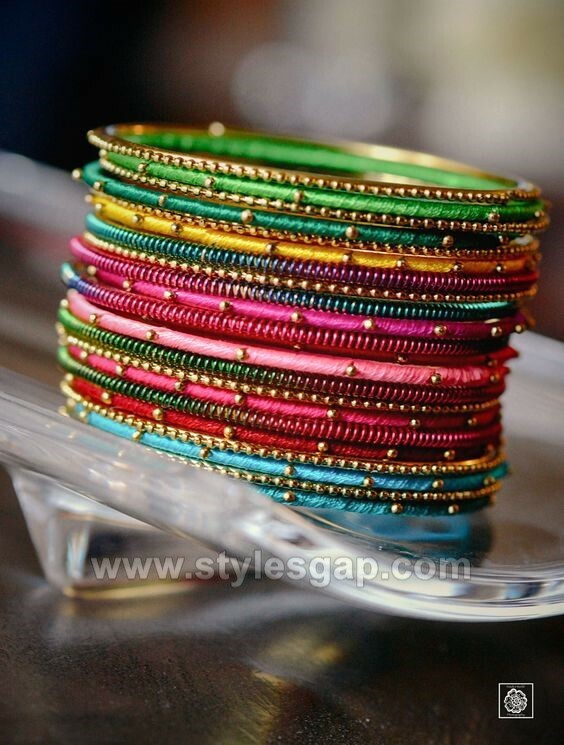 And why not, the gleam and glitters of the colourful bangles, mesmerize us all. There was a time when heavy bangle sets with loads of glitters were quite on trend but now the plain and colourful bangles are loved by all. If you like to create variation, prepare a set using two combinations of colours or try a contrasting combo. 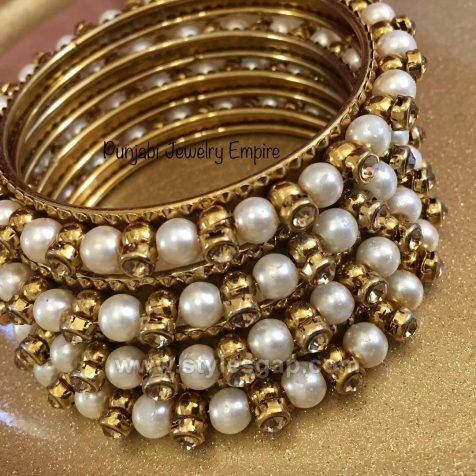 Adding shiny ivory and silver bracelets to the bangle set also looks appealing and unique. Whichever colour you choose, just keep it to the dress theme and it will balance everything out. This Eid trying neat and tied will be need of the hour as we all are witnessing a sharp increase in temperature. 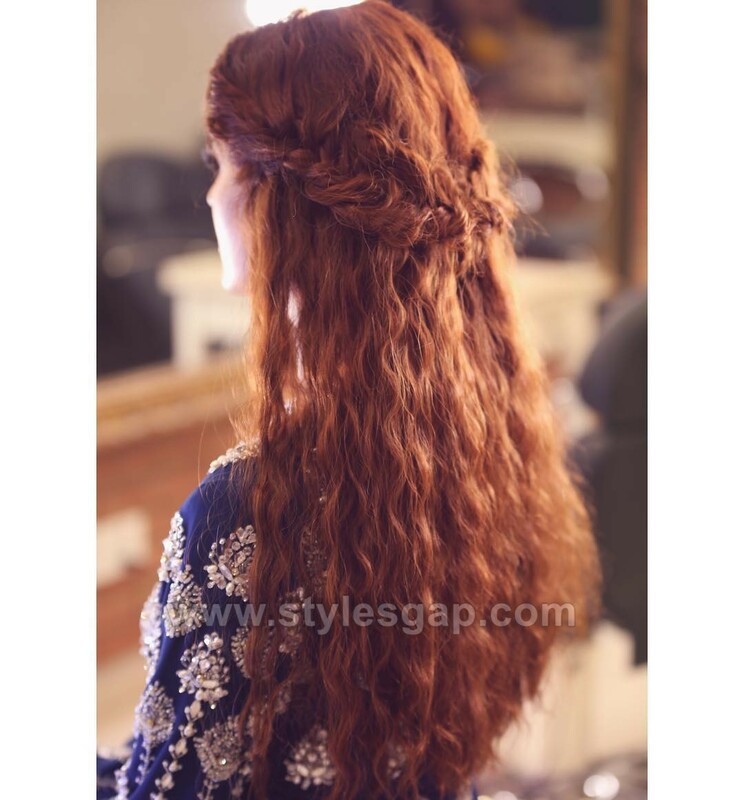 So what options are available for a charming hairstyle? Well, there are all sorts of braids from messy fishtails, to the side braids, triple braids, French braids, we can try with any outfit. 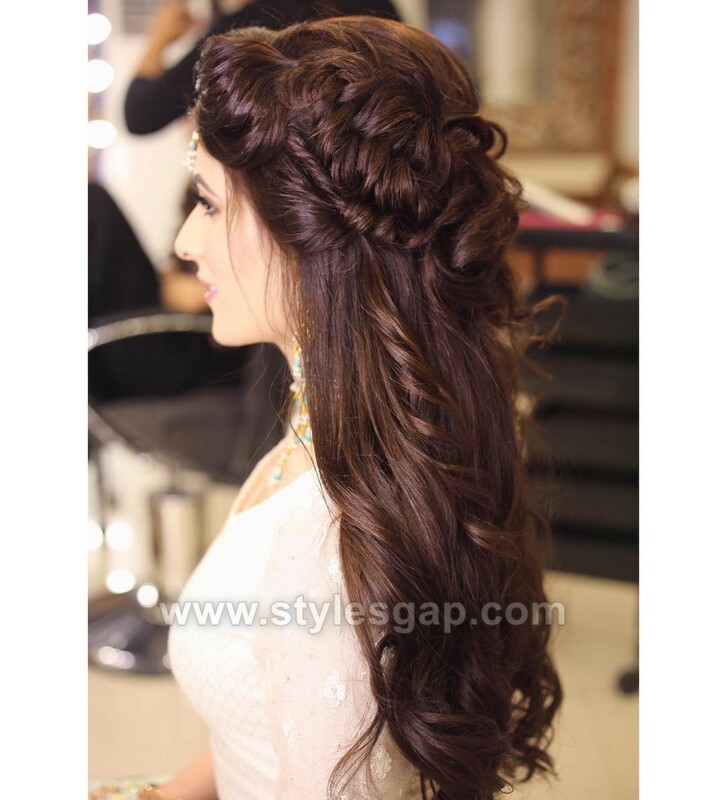 Braids will give a neat and classy outlook without putting much of the efforts. Depending on your dress, you can choose to either keep it messy or simple. In buns, the top knot option is more desirable, whereas messy buns can also go great with most of the dresses. 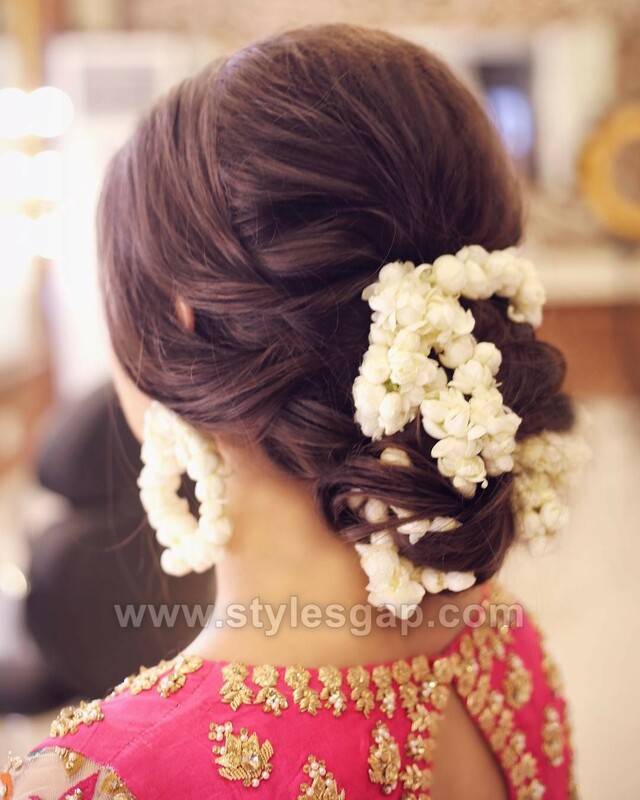 Side buns are great for shalwar kameez and all sorts of ethnic wear. Besides all these options, if anyone still want to carry open hairstyle then keep it a half updo, or front braid style or side bangs. Ghararas and sharara pants are very much popular for over a year. 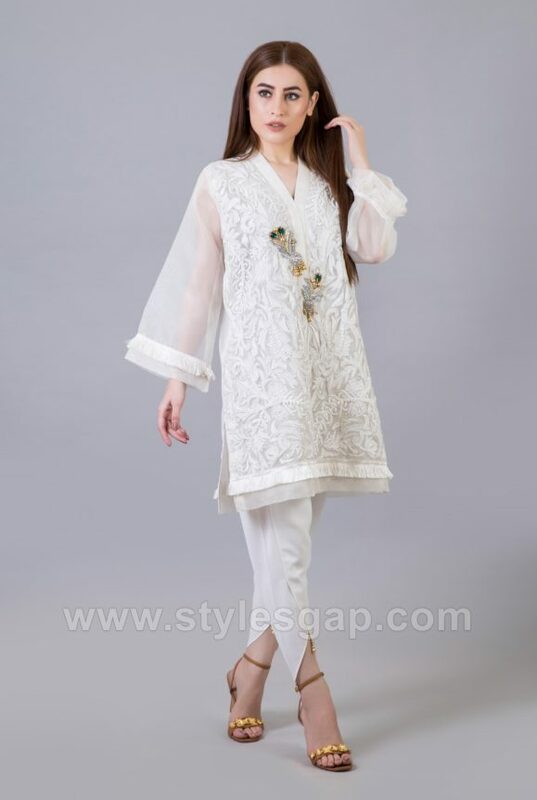 Pair it with a medium length shirt or frock and rock the eid look. 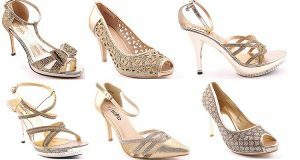 You can style it with either heels, flats or trendy khussas as per your choice. Some people love to wear dark and bold shades. 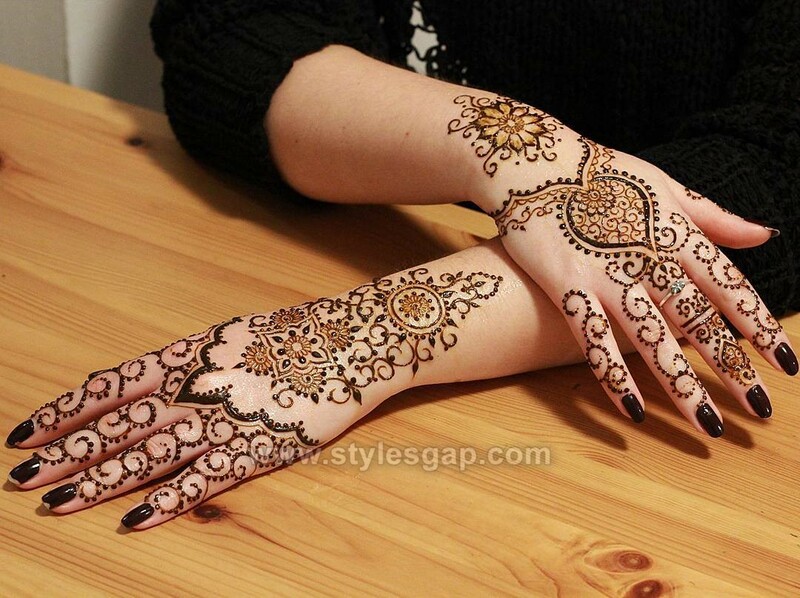 This also looks traditional on festivals. You can use two-tone dupattas, tie and dye shirts and multi-colored shalwars. Shirt having heavier and darker embellishments. The front open style is always loved throughout the years all over Asia. It seems so trendy as well as chic at the same time. You can go for Front open shirts, gowns, jackets, maxis, frocks, etc. Here we are posting two amazing designs that you can opt for a festive look. 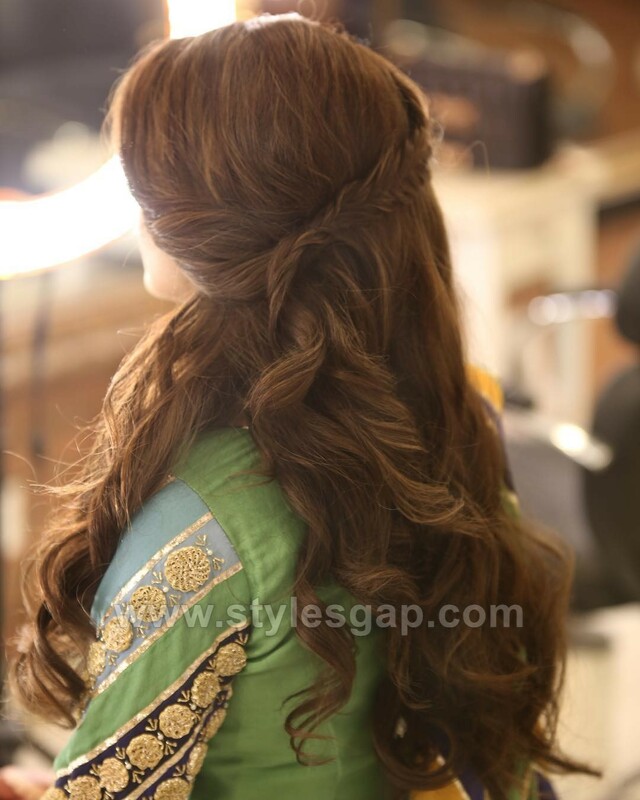 Hope you have loved these 15 amazing Best Eid Dressing & Styling Trends.